COLUMBIA, Mo 1/17/15 (Beat Byte) -- A longtime downtown Columbia business owner is taking issue with a CID-inspired plan to lower parking costs. "Demand for parking has increased downtown due to an influx of apartments without parking requirements," Columbia Associates Architecture and Interior Design owner Kathy Miller emailed the Heart Beat. Her letter details concerns including the non-transparent way City Hall is subsidizing student apartment developers at the expense of other downtown constituents. "Parking prices have tripled in the past seven years," added Miller, a 30-year downtown business owner who "paid for parking for all of my full time employees." The CID plan would offer "every downtown employee a lower-priced parking permit (say, $20/month) for an under-utilized parking area and a free transit pass," CID representative Deb Sheals told the Downtown Columbia Leadership Council last month. But dropping parking costs for one group -- downtown employees, many of whom are students who also live downtown -- could prove little more than another development subsidy. "Promoting parking affordability in this fashion is a non-transparent method of increasing services for apartment owners who were not required to provide parking," she writes. "Apartment developers are ready for prime sales once the city resolves 'their parking issues'. Once parking prices are reduced, downtown again looks very attractive to new developers and business owners." Miller cites another parking sector -- church attendees -- the CID plan does not address. Though parking is generally free on Sundays, local churches are busy all week. And with the influx of students, free parking at any time is getting harder and harder to find. "The Columbia Improvement District should include churches in their parking needs formulas if they want to promote transparency, and ongoing and continuous renovation of all of the local historic churches," Miller noted. With such a single-minded focus on one sector -- student apartments, in evidence all over downtown Columbia -- Miller questions what the city's longer-term future might look like. It's all part of what she terms "the apartment sales cycle" about which many residents are probably unaware. The next part of that cycle "will occur when the apartments require upgrades," she explained. "The corporate owner may rent to lower income rather than consider the expense of upgrading. It will be interesting to see how downtown manages that cycle." Miller's concerns mirror those of other planning and design experts. 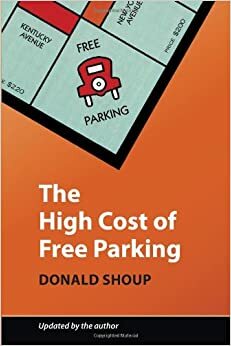 Donald Shoup's "The High Cost of Free Parking", for instance, addresses the many unexpected ways parking -- free, cheap, expensive, or non-existent -- determines a community's future.